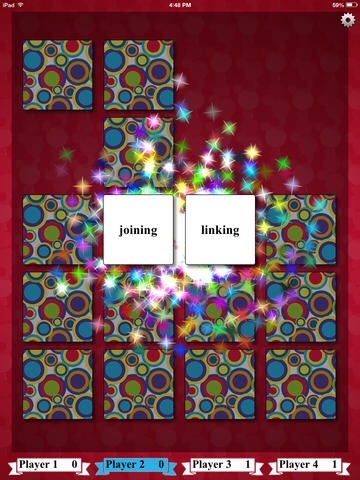 FREE for a limited time – Synonym Match, Antonym Match and Homophone Match. These three educational apps each feature a classic card matching game that helps kids with vocabulary development. Each matching game can be played by one to four people. Players can choose to match twelve, sixteen, twenty, or twenty-four cards. There are three levels of difficulty – easy, medium and difficult. When a match is made, fireworks appear. These apps would be great in a shared iPad classroom setting because they support multiple players and multiple student levels. Check them out while they are FREE! !